Ava’s Caramel Popcorn is a low tech operation: an old-fashioned Whirly Pop popcorn maker (which looks like a steel pot with a small wooden handle attached to the side); steel mixing bowl with spatulas; sheet tray; stove; and a woman obsessed with perfect caramel popcorn. "There’s no specialized equipment, there’s no gadgets, there’s no gimmicks," says Ava Vatsky. "Just one person with two hands and very, very honest utensils, making things batch by batch by batch." Vatsky grew up in New York eating high-quality caramel popcorn shipped to her from the Midwest by her grandparents. As an adult, she craved that balanced flavor profile — sweet, salty, chewy, crunchy — but couldn’t find any in the area that matched the quality she was looking for. She set out to achieve perfection herself. Spoiler: She did. Ava’s Caramel Popcorn is one of the best sweets I’ve eaten in recent years. Where, oh where, does a food writer begin when my favorite variety of her luxurious popcorn is whichever one I tasted last? 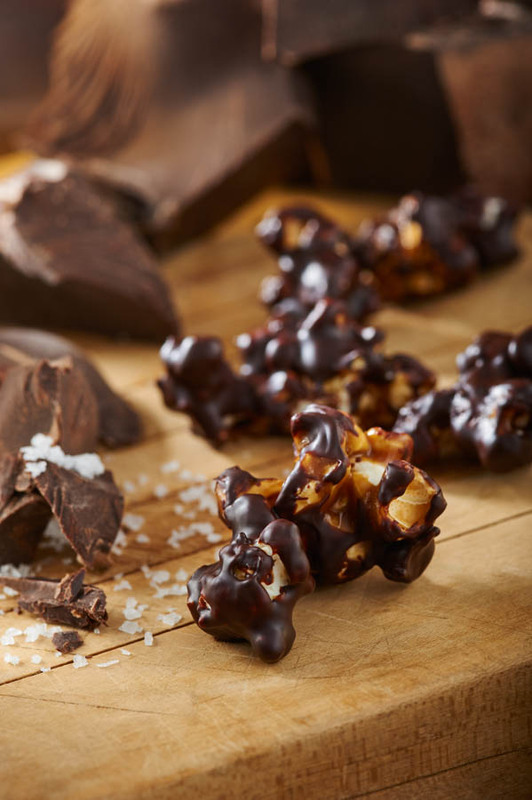 In addition to the classic caramel flavor, Vatsky offers the extra dark chocolate caramel, which contrasts sweet caramel with not-so-sweet dark chocolate. She drops in seasonal flavors as they strike her fancy. For instance, the "Kicked Up" which adds cayenne pepper and ancho chile for a bit of heat that pairs perfectly as a side snack to a cold beer. "You can buy caramel popcorn at Walgreens," she says. "I wanted something totally different. I wanted it to taste super small-batch, I wanted the caramel to just be exquisite, explode-in-your-mouth with flavor, I wanted this amazing salty finish." "Nothing was insignificant," she says. "The simplest task was treated with the utmost respect." Accordingly, Vatsky worked on the recipe for a solid year. Seriously. She reads cookbooks before bed like normal human beings read novels. She would wake up in the middle of the night as the "proverbial light bulb" would go off in her head: What if she uses a bar of butter with a higher butterfat content? What if she tweaked the kind of salt added at one step, and used a different kind of salt later? What if she reduced the brown sugar ever-so-slightly and subbed in a tiny pinch of white sugar? "It was definitely a labor of love," she says. And it would have to be, since the two- to three-day turnaround process for each batch often nets around only ten bags. She found that increasing the size of the batch caused the caramelizing process to change, which threw off the ratios and decreased the overall quality. "There are so many food products out there, and I want mine to stand out as something that is done with integrity," she says. 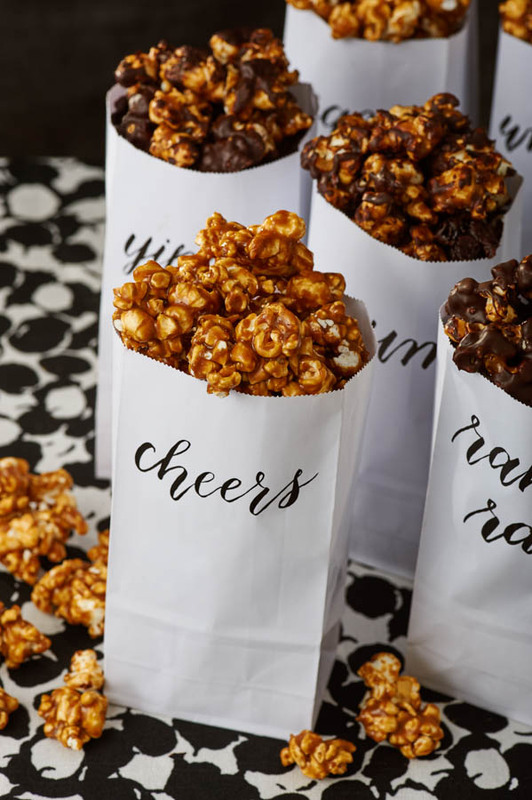 A few months after she finished the recipe, she launched Ava’s Caramel Popcorn as a full-fledged business. Her refusal to cut corners shows in the taste. The caramel is sweet but not cloying, the popcorn evenly coated, the Atlantic Saltworks salt walking a tightrope of satiating my salt cravings without making me reach for a glass of water. "I’ve had a lifelong impulse to make people happy through food," she says.